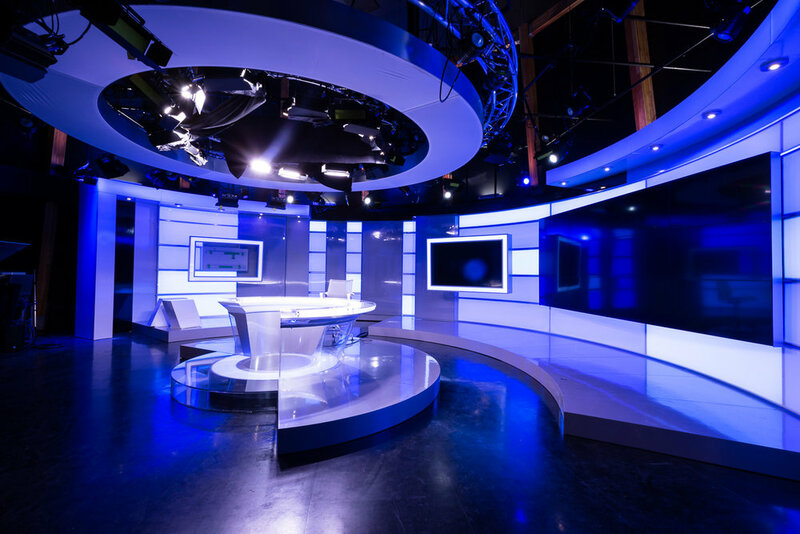 APTN Corporate Office & Studio | prairie architects inc. The Aboriginal Peoples Television Network located in Downton Winnipeg on Portage Avenue, expanded into the neighbouring former Bank of Commerce building. The six storey building to the west at 339 Portage had an entrance off Air Canada Park hidden from Portage Avenue. The east building had a formal entrance onto Portage Avenue. The shell of the existing building was retained and incorporated into the overall new project. The new entrance for both buildings is now located on Portage Avenue at the new 2000 s.f. wood drum Studio space. The concept of the façade design had a number of components. 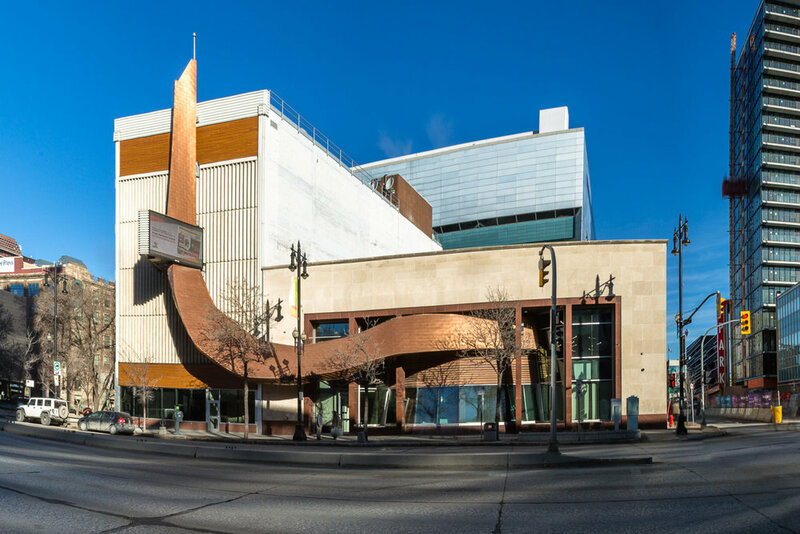 It was intended to create a bold presence for all Aboriginal cultures and traditions on Portage Avenue. 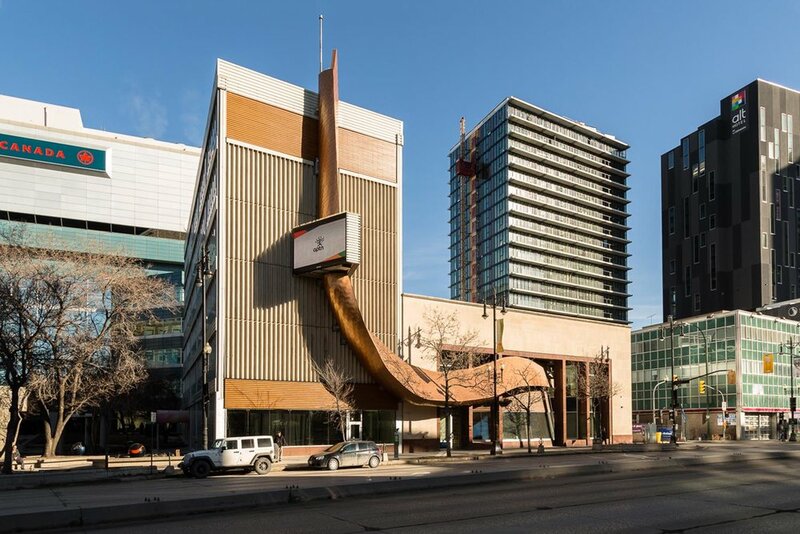 The building was also intended to celebrate various symbols important to those cultures such as the drum, the ribbon of life, and the northern lights. In addition, the project proposed to unify the two buildings on the site and bring colour and drama to Portage by expressing the vibrancy of the APTN network and its brand. The building features were proposed to enable the building to be designed using EE4 software and comply with a target of 55% + saving in energy to comply with Powersmart and LEED criteria.